Remote Engine Start, Dual Zone A/C, All Wheel Drive, Aluminum Wheels, Turbo Charged Engine, iPod/MP3 Input, Satellite Radio, Back-Up Camera. SEL trim. Warranty 5 yrs/60k Miles - Drivetrain Warranty; CLICK ME!KEY FEATURES INCLUDEBack-Up Camera, Turbocharged, Satellite Radio, iPod/MP3 Input, Remote Engine Start, Dual Zone A/C. 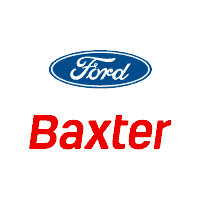 Rear Spoiler, MP3 Player, All Wheel Drive, Onboard Communications System, Aluminum Wheels.BUY FROM AN AWARD WINNING DEALERBaxter Ford South, a full-service Ford dealership in Omaha, is your source for new Ford cars, trucks, vans and SUVs both online and in our showroom. We also sell used vehicles and certified pre-owned Fords. At our 9203 South 145th Street (near Sapp Bros.) location, we also provide parts and auto repair service. We're part of Baxter Auto, the largest dealer group in Nebraska.Please confirm the accuracy of the included equipment by calling us prior to purchase. SEL trim. Brake Actuated Limited Slip Differential, Smart Device Integration, Cross-Traffic Alert, WiFi Hotspot, Lane Keeping Assist, All Wheel Drive, Back-Up Camera, Aluminum Wheels. FUEL EFFICIENT 28 MPG Hwy/21 MPG City! SEE MORE!KEY FEATURES INCLUDEBack-Up Camera, Turbocharged, Satellite Radio, iPod/MP3 Input, Remote Engine Start, Dual Zone A/C, Blind Spot Monitor, Smart Device Integration, Brake Actuated Limited Slip Differential, Cross-Traffic Alert, Lane Keeping Assist, WiFi Hotspot Rear Spoiler, MP3 Player, All Wheel Drive, Onboard Communications System, Aluminum Wheels.EXPERTS RAVEBetween the grippy tires and the tuned suspension, the high-performance Edge held on nicely during hard cornering, with very little body roll. The brakes held strong and steady while we hustled this 4,000-pound SUV on mountain roads as we slowed for upcoming corners. -KBB.com. Great Gas Mileage: 28 MPG Hwy.VISIT US TODAYBaxter Ford South, a full-service Ford dealership in Omaha, is your source for new Ford cars, trucks, vans and SUVs both online and in our showroom. We also sell used vehicles and certified pre-owned Fords. At our 9203 South 145th Street (near Sapp Bros.) location, we also provide parts and auto repair service. We're part of Baxter Auto, the largest dealer group in Nebraska.Fuel economy calculations based on original manufacturer data for trim engine configuration. Please confirm the accuracy of the included equipment by calling us prior to purchase. Heated Leather Seats, Tow Hitch, Turbo, All Wheel Drive, Power Liftgate, Alloy Wheels, Back-Up Camera. ST trim. EPA 26 MPG Hwy/19 MPG City! Warranty 5 yrs/60k Miles - Drivetrain Warranty; CLICK NOW!KEY FEATURES INCLUDELeather Seats, All Wheel Drive, Power Liftgate, Heated Driver Seat, Back-Up Camera Rear Spoiler, MP3 Player, Aluminum Wheels, Keyless Entry, Privacy Glass.EXPERTS ARE SAYINGKBB.com explains Between the grippy tires and the tuned suspension, the high-performance Edge held on nicely during hard cornering, with very little body roll. The brakes held strong and steady while we hustled this 4,000-pound SUV on mountain roads as we slowed for upcoming corners.. Great Gas Mileage: 26 MPG Hwy.BUY FROM AN AWARD WINNING DEALERBaxter Ford West Dodge, a full-service Ford dealership in Omaha, is your source for new Ford cars, trucks, vans and SUVs both online and in our showroom. We also sell used vehicles and certified pre-owned Fords. At our 18505 California Street (185th & Dodge) location, we also provide parts and auto repair service. We're part of Baxter Auto, the largest dealer group in Nebraska.Fuel economy calculations based on original manufacturer data for trim engine configuration. Please confirm the accuracy of the included equipment by calling us prior to purchase. Heated Leather Seats, Aluminum Wheels, Trailer Hitch, Turbo Charged, All Wheel Drive, Back-Up Camera, Power Liftgate. ST trim. EPA 26 MPG Hwy/19 MPG City! Warranty 5 yrs/60k Miles - Drivetrain Warranty; CLICK NOW!KEY FEATURES INCLUDELeather Seats, All Wheel Drive, Power Liftgate, Heated Driver Seat, Back-Up Camera. Rear Spoiler, MP3 Player, Aluminum Wheels, Keyless Entry, Privacy Glass.EXPERTS ARE SAYINGBetween the grippy tires and the tuned suspension, the high-performance Edge held on nicely during hard cornering, with very little body roll. The brakes held strong and steady while we hustled this 4,000-pound SUV on mountain roads as we slowed for upcoming corners. -KBB.com. Great Gas Mileage: 26 MPG Hwy.OUR OFFERINGSBaxter Ford West Dodge, a full-service Ford dealership in Omaha, is your source for new Ford cars, trucks, vans and SUVs both online and in our showroom. We also sell used vehicles and certified pre-owned Fords. At our 18505 California Street (185th & Dodge) location, we also provide parts and auto repair service. We're part of Baxter Auto, the largest dealer group in Nebraska.Fuel economy calculations based on original manufacturer data for trim engine configuration. Please confirm the accuracy of the included equipment by calling us prior to purchase. Heated Leather Seats, Aluminum Wheels, Hitch, Power Liftgate, Back-Up Camera, All Wheel Drive, Turbo Charged Engine. FUEL EFFICIENT 26 MPG Hwy/19 MPG City! ST trim. Warranty 5 yrs/60k Miles - Drivetrain Warranty; READ MORE!KEY FEATURES INCLUDELeather Seats, All Wheel Drive, Power Liftgate, Heated Driver Seat, Back-Up Camera Rear Spoiler, MP3 Player, Aluminum Wheels, Keyless Entry, Privacy Glass.EXPERTS CONCLUDEKBB.com explains Between the grippy tires and the tuned suspension, the high-performance Edge held on nicely during hard cornering, with very little body roll. The brakes held strong and steady while we hustled this 4,000-pound SUV on mountain roads as we slowed for upcoming corners.. Great Gas Mileage: 26 MPG Hwy.WHO WE AREBaxter Ford West Dodge, a full-service Ford dealership in Omaha, is your source for new Ford cars, trucks, vans and SUVs both online and in our showroom. We also sell used vehicles and certified pre-owned Fords. At our 18505 California Street (185th & Dodge) location, we also provide parts and auto repair service. We're part of Baxter Auto, the largest dealer group in Nebraska.Fuel economy calculations based on original manufacturer data for trim engine configuration. Please confirm the accuracy of the included equipment by calling us prior to purchase. Brake Actuated Limited Slip Differential, Smart Device Integration, Cross-Traffic Alert, WiFi Hotspot, Lane Keeping Assist, Blind Spot Monitor, All Wheel Drive, Back-Up Camera, Alloy Wheels. FUEL EFFICIENT 28 MPG Hwy/21 MPG City! AND MORE!KEY FEATURES INCLUDEBack-Up Camera, Turbocharged, Satellite Radio, iPod/MP3 Input, Remote Engine Start, Dual Zone A/C, Blind Spot Monitor, Smart Device Integration, Brake Actuated Limited Slip Differential, Cross-Traffic Alert, Lane Keeping Assist, WiFi Hotspot Rear Spoiler, MP3 Player, All Wheel Drive, Onboard Communications System, Aluminum Wheels.VEHICLE REVIEWSBetween the grippy tires and the tuned suspension, the high-performance Edge held on nicely during hard cornering, with very little body roll. The brakes held strong and steady while we hustled this 4,000-pound SUV on mountain roads as we slowed for upcoming corners. -KBB.com. Great Gas Mileage: 28 MPG Hwy.WHO WE AREBaxter Ford South, a full-service Ford dealership in Omaha, is your source for new Ford cars, trucks, vans and SUVs both online and in our showroom. We also sell used vehicles and certified pre-owned Fords. At our 9203 South 145th Street (near Sapp Bros.) location, we also provide parts and auto repair service. We're part of Baxter Auto, the largest dealer group in Nebraska.Fuel economy calculations based on original manufacturer data for trim engine configuration. Please confirm the accuracy of the included equipment by calling us prior to purchase. SEL trim. Auxiliary Audio Input, Aluminum Wheels, Turbo Charged Engine, All Wheel Drive, Satellite Radio, Back-Up Camera. FUEL EFFICIENT 28 MPG Hwy/21 MPG City! Warranty 5 yrs/60k Miles - Drivetrain Warranty; CLICK NOW!KEY FEATURES INCLUDEAll Wheel Drive, Back-Up Camera, Turbocharged, Satellite Radio, Auxiliary Audio Input. Rear Spoiler, MP3 Player, Aluminum Wheels, Privacy Glass, Keyless Entry.EXPERTS RAVEKBB.com's review says Between the grippy tires and the tuned suspension, the high-performance Edge held on nicely during hard cornering, with very little body roll. The brakes held strong and steady while we hustled this 4,000-pound SUV on mountain roads as we slowed for upcoming corners.. Great Gas Mileage: 28 MPG Hwy.WHO WE AREBaxter Ford West Dodge, a full-service Ford dealership in Omaha, is your source for new Ford cars, trucks, vans and SUVs both online and in our showroom. We also sell used vehicles and certified pre-owned Fords. At our 18505 California Street (185th & Dodge) location, we also provide parts and auto repair service. We're part of Baxter Auto, the largest dealer group in Nebraska.Fuel economy calculations based on original manufacturer data for trim engine configuration. Please confirm the accuracy of the included equipment by calling us prior to purchase. FUEL EFFICIENT 28 MPG Hwy/21 MPG City! iPod/MP3 Input, Alloy Wheels, Turbo, All Wheel Drive, Satellite Radio, Back-Up Camera. SEL trim. Warranty 5 yrs/60k Miles - Drivetrain Warranty; AND MORE!KEY FEATURES INCLUDEAll Wheel Drive, Back-Up Camera, Turbocharged, Satellite Radio, iPod/MP3 Input. Rear Spoiler, MP3 Player, Aluminum Wheels, Privacy Glass, Keyless Entry.EXPERTS ARE SAYINGBetween the grippy tires and the tuned suspension, the high-performance Edge held on nicely during hard cornering, with very little body roll. The brakes held strong and steady while we hustled this 4,000-pound SUV on mountain roads as we slowed for upcoming corners. -KBB.com. Great Gas Mileage: 28 MPG Hwy.BUY FROM AN AWARD WINNING DEALERBaxter Ford West Dodge, a full-service Ford dealership in Omaha, is your source for new Ford cars, trucks, vans and SUVs both online and in our showroom. We also sell used vehicles and certified pre-owned Fords. At our 18505 California Street (185th & Dodge) location, we also provide parts and auto repair service. We're part of Baxter Auto, the largest dealer group in Nebraska.Fuel economy calculations based on original manufacturer data for trim engine configuration. Please confirm the accuracy of the included equipment by calling us prior to purchase. FUEL EFFICIENT 28 MPG Hwy/21 MPG City! iPod/MP3 Input, Aluminum Wheels, Turbo Charged Engine, All Wheel Drive, Satellite Radio, Back-Up Camera. SEL trim. Warranty 5 yrs/60k Miles - Drivetrain Warranty; SEE MORE!KEY FEATURES INCLUDEAll Wheel Drive, Back-Up Camera, Turbocharged, Satellite Radio, iPod/MP3 Input. Rear Spoiler, MP3 Player, Aluminum Wheels, Privacy Glass, Keyless Entry.EXPERTS ARE SAYINGKBB.com's review says Between the grippy tires and the tuned suspension, the high-performance Edge held on nicely during hard cornering, with very little body roll. The brakes held strong and steady while we hustled this 4,000-pound SUV on mountain roads as we slowed for upcoming corners.. Great Gas Mileage: 28 MPG Hwy.BUY FROM AN AWARD WINNING DEALERBaxter Ford West Dodge, a full-service Ford dealership in Omaha, is your source for new Ford cars, trucks, vans and SUVs both online and in our showroom. We also sell used vehicles and certified pre-owned Fords. At our 18505 California Street (185th & Dodge) location, we also provide parts and auto repair service. We're part of Baxter Auto, the largest dealer group in Nebraska.Fuel economy calculations based on original manufacturer data for trim engine configuration. Please confirm the accuracy of the included equipment by calling us prior to purchase. SEL trim. EPA 28 MPG Hwy/21 MPG City! iPod/MP3 Input, Aluminum Wheels, Turbo Charged Engine, All Wheel Drive, Satellite Radio, Back-Up Camera. Warranty 5 yrs/60k Miles - Drivetrain Warranty; CLICK ME!KEY FEATURES INCLUDEAll Wheel Drive, Back-Up Camera, Turbocharged, Satellite Radio, iPod/MP3 Input. Rear Spoiler, MP3 Player, Aluminum Wheels, Privacy Glass, Keyless Entry.EXPERTS ARE SAYINGKBB.com's review says Between the grippy tires and the tuned suspension, the high-performance Edge held on nicely during hard cornering, with very little body roll. The brakes held strong and steady while we hustled this 4,000-pound SUV on mountain roads as we slowed for upcoming corners.. Great Gas Mileage: 28 MPG Hwy.MORE ABOUT USBaxter Ford West Dodge, a full-service Ford dealership in Omaha, is your source for new Ford cars, trucks, vans and SUVs both online and in our showroom. We also sell used vehicles and certified pre-owned Fords. At our 18505 California Street (185th & Dodge) location, we also provide parts and auto repair service. We're part of Baxter Auto, the largest dealer group in Nebraska.Fuel economy calculations based on original manufacturer data for trim engine configuration. Please confirm the accuracy of the included equipment by calling us prior to purchase. IPod/MP3 Input, Aluminum Wheels, Turbo Charged Engine, All Wheel Drive, Satellite Radio, Back-Up Camera. SEL trim. EPA 28 MPG Hwy/21 MPG City! Warranty 5 yrs/60k Miles - Drivetrain Warranty; SEE MORE!KEY FEATURES INCLUDEAll Wheel Drive, Back-Up Camera, Turbocharged, Satellite Radio, iPod/MP3 Input. Rear Spoiler, MP3 Player, Aluminum Wheels, Privacy Glass, Keyless Entry.VEHICLE REVIEWSKBB.com's review says Between the grippy tires and the tuned suspension, the high-performance Edge held on nicely during hard cornering, with very little body roll. The brakes held strong and steady while we hustled this 4,000-pound SUV on mountain roads as we slowed for upcoming corners.. Great Gas Mileage: 28 MPG Hwy.MORE ABOUT USBaxter Ford West Dodge, a full-service Ford dealership in Omaha, is your source for new Ford cars, trucks, vans and SUVs both online and in our showroom. We also sell used vehicles and certified pre-owned Fords. At our 18505 California Street (185th & Dodge) location, we also provide parts and auto repair service. We're part of Baxter Auto, the largest dealer group in Nebraska.Fuel economy calculations based on original manufacturer data for trim engine configuration. Please confirm the accuracy of the included equipment by calling us prior to purchase. EPA 28 MPG Hwy/21 MPG City! SEL trim. iPod/MP3 Input, Alloy Wheels, Turbo, All Wheel Drive, Satellite Radio, Back-Up Camera. Warranty 5 yrs/60k Miles - Drivetrain Warranty; SEE MORE!KEY FEATURES INCLUDEAll Wheel Drive, Back-Up Camera, Turbocharged, Satellite Radio, iPod/MP3 Input. Rear Spoiler, MP3 Player, Aluminum Wheels, Privacy Glass, Keyless Entry.EXPERTS ARE SAYINGKBB.com's review says Between the grippy tires and the tuned suspension, the high-performance Edge held on nicely during hard cornering, with very little body roll. The brakes held strong and steady while we hustled this 4,000-pound SUV on mountain roads as we slowed for upcoming corners.. Great Gas Mileage: 28 MPG Hwy.MORE ABOUT USBaxter Ford West Dodge, a full-service Ford dealership in Omaha, is your source for new Ford cars, trucks, vans and SUVs both online and in our showroom. We also sell used vehicles and certified pre-owned Fords. At our 18505 California Street (185th & Dodge) location, we also provide parts and auto repair service. We're part of Baxter Auto, the largest dealer group in Nebraska.Fuel economy calculations based on original manufacturer data for trim engine configuration. Please confirm the accuracy of the included equipment by calling us prior to purchase. Brake Actuated Limited Slip Differential, Smart Device Integration, Cross-Traffic Alert, WiFi Hotspot, Lane Keeping Assist, All Wheel Drive, Back-Up Camera, Aluminum Wheels, Satellite Radio. EPA 28 MPG Hwy/21 MPG City! SEL trim AND MORE!KEY FEATURES INCLUDEBack-Up Camera, Turbocharged, Satellite Radio, iPod/MP3 Input, Remote Engine Start, Dual Zone A/C, Blind Spot Monitor, Smart Device Integration, Brake Actuated Limited Slip Differential, Cross-Traffic Alert, Lane Keeping Assist, WiFi Hotspot. Rear Spoiler, MP3 Player, All Wheel Drive, Onboard Communications System, Aluminum Wheels.EXPERTS RAVEKBB.com explains Between the grippy tires and the tuned suspension, the high-performance Edge held on nicely during hard cornering, with very little body roll. The brakes held strong and steady while we hustled this 4,000-pound SUV on mountain roads as we slowed for upcoming corners.. Great Gas Mileage: 28 MPG Hwy.WHY BUY FROM USBaxter Ford South, a full-service Ford dealership in Omaha, is your source for new Ford cars, trucks, vans and SUVs both online and in our showroom. We also sell used vehicles and certified pre-owned Fords. At our 9203 South 145th Street (near Sapp Bros.) location, we also provide parts and auto repair service. We're part of Baxter Auto, the largest dealer group in Nebraska.Fuel economy calculations based on original manufacturer data for trim engine configuration. Please confirm the accuracy of the included equipment by calling us prior to purchase. Heated Leather Seats, Alloy Wheels, Turbo, All Wheel Drive, Back-Up Camera, Power Liftgate. Titanium trim. FUEL EFFICIENT 28 MPG Hwy/21 MPG City! Warranty 5 yrs/60k Miles - Drivetrain Warranty; CLICK ME!KEY FEATURES INCLUDELeather Seats, All Wheel Drive, Power Liftgate, Heated Driver Seat, Back-Up Camera Rear Spoiler, MP3 Player, Aluminum Wheels, Remote Trunk Release, Privacy Glass.EXPERTS REPORTKBB.com's review says Between the grippy tires and the tuned suspension, the high-performance Edge held on nicely during hard cornering, with very little body roll. The brakes held strong and steady while we hustled this 4,000-pound SUV on mountain roads as we slowed for upcoming corners.. Great Gas Mileage: 28 MPG Hwy.OUR OFFERINGSBaxter Ford West Dodge, a full-service Ford dealership in Omaha, is your source for new Ford cars, trucks, vans and SUVs both online and in our showroom. We also sell used vehicles and certified pre-owned Fords. At our 18505 California Street (185th & Dodge) location, we also provide parts and auto repair service. We're part of Baxter Auto, the largest dealer group in Nebraska.Fuel economy calculations based on original manufacturer data for trim engine configuration. Please confirm the accuracy of the included equipment by calling us prior to purchase. EPA 28 MPG Hwy/21 MPG City! SE trim. iPod/MP3 Input, Alloy Wheels, Turbo, All Wheel Drive, Satellite Radio, Back-Up Camera. Warranty 5 yrs/60k Miles - Drivetrain Warranty; CLICK NOW!KEY FEATURES INCLUDEAll Wheel Drive, Back-Up Camera, Turbocharged, Satellite Radio, iPod/MP3 Input Rear Spoiler, MP3 Player, Aluminum Wheels, Keyless Entry, Privacy Glass.VEHICLE REVIEWSKBB.com's review says Between the grippy tires and the tuned suspension, the high-performance Edge held on nicely during hard cornering, with very little body roll. The brakes held strong and steady while we hustled this 4,000-pound SUV on mountain roads as we slowed for upcoming corners.. Great Gas Mileage: 28 MPG Hwy.WHO WE AREBaxter Ford West Dodge, a full-service Ford dealership in Omaha, is your source for new Ford cars, trucks, vans and SUVs both online and in our showroom. We also sell used vehicles and certified pre-owned Fords. At our 18505 California Street (185th & Dodge) location, we also provide parts and auto repair service. We're part of Baxter Auto, the largest dealer group in Nebraska.Fuel economy calculations based on original manufacturer data for trim engine configuration. Please confirm the accuracy of the included equipment by calling us prior to purchase. Heated Leather Seats, Remote Engine Start, Dual Zone A/C, iPod/MP3 Input, All Wheel Drive, Aluminum Wheels, Turbo Charged, Power Liftgate, Satellite Radio, Premium Sound System. Titanium trim. EPA 28 MPG Hwy/21 MPG City! READ MORE!KEY FEATURES INCLUDELeather Seats, Power Liftgate, Heated Driver Seat, Back-Up Camera, Turbocharged, Premium Sound System, Satellite Radio, iPod/MP3 Input, Remote Engine Start, Dual Zone A/C, Lane Keeping Assist, WiFi Hotspot, Brake Actuated Limited Slip Differential, Cross-Traffic Alert, Blind Spot Monitor Rear Spoiler, MP3 Player, All Wheel Drive, Onboard Communications System, Aluminum Wheels.EXPERTS ARE SAYINGKBB.com explains Between the grippy tires and the tuned suspension, the high-performance Edge held on nicely during hard cornering, with very little body roll. The brakes held strong and steady while we hustled this 4,000-pound SUV on mountain roads as we slowed for upcoming corners.. Great Gas Mileage: 28 MPG Hwy.MORE ABOUT USBaxter Ford South, a full-service Ford dealership in Omaha, is your source for new Ford cars, trucks, vans and SUVs both online and in our showroom. We also sell used vehicles and certified pre-owned Fords. At our 9203 South 145th Street (near Sapp Bros.) location, we also provide parts and auto repair service. We're part of Baxter Auto, the largest dealer group in Nebraska.Fuel economy calculations based on original manufacturer data for trim engine configuration. Please confirm the accuracy of the included equipment by calling us prior to purchase. Heated Leather Seats, Remote Engine Start, Dual Zone A/C, iPod/MP3 Input, All Wheel Drive, Alloy Wheels, Turbo Charged, Power Liftgate, Satellite Radio, Premium Sound System. FUEL EFFICIENT 28 MPG Hwy/21 MPG City! Titanium trim CLICK ME!KEY FEATURES INCLUDELeather Seats, Power Liftgate, Heated Driver Seat, Back-Up Camera, Turbocharged, Premium Sound System, Satellite Radio, iPod/MP3 Input, Remote Engine Start, Dual Zone A/C, Lane Keeping Assist, WiFi Hotspot, Brake Actuated Limited Slip Differential, Cross-Traffic Alert, Blind Spot Monitor. Rear Spoiler, MP3 Player, All Wheel Drive, Onboard Communications System, Aluminum Wheels.EXPERTS ARE SAYINGKBB.com's review says Between the grippy tires and the tuned suspension, the high-performance Edge held on nicely during hard cornering, with very little body roll. The brakes held strong and steady while we hustled this 4,000-pound SUV on mountain roads as we slowed for upcoming corners.. Great Gas Mileage: 28 MPG Hwy.OUR OFFERINGSBaxter Ford South, a full-service Ford dealership in Omaha, is your source for new Ford cars, trucks, vans and SUVs both online and in our showroom. We also sell used vehicles and certified pre-owned Fords. At our 9203 South 145th Street (near Sapp Bros.) location, we also provide parts and auto repair service. We're part of Baxter Auto, the largest dealer group in Nebraska.Fuel economy calculations based on original manufacturer data for trim engine configuration. Please confirm the accuracy of the included equipment by calling us prior to purchase. FUEL EFFICIENT 28 MPG Hwy/21 MPG City! iPod/MP3 Input, Satellite Radio, Alloy Wheels, Turbo, All Wheel Drive, Back-Up Camera. SE trim. Warranty 5 yrs/60k Miles - Drivetrain Warranty; CLICK ME!KEY FEATURES INCLUDEAll Wheel Drive, Back-Up Camera, Turbocharged, Satellite Radio, iPod/MP3 Input Rear Spoiler, MP3 Player, Aluminum Wheels, Keyless Entry, Privacy Glass.EXPERTS CONCLUDEKBB.com's review says Between the grippy tires and the tuned suspension, the high-performance Edge held on nicely during hard cornering, with very little body roll. The brakes held strong and steady while we hustled this 4,000-pound SUV on mountain roads as we slowed for upcoming corners.. Great Gas Mileage: 28 MPG Hwy.OUR OFFERINGSBaxter Ford West Dodge, a full-service Ford dealership in Omaha, is your source for new Ford cars, trucks, vans and SUVs both online and in our showroom. We also sell used vehicles and certified pre-owned Fords. At our 18505 California Street (185th & Dodge) location, we also provide parts and auto repair service. We're part of Baxter Auto, the largest dealer group in Nebraska.Fuel economy calculations based on original manufacturer data for trim engine configuration. Please confirm the accuracy of the included equipment by calling us prior to purchase. EPA 28 MPG Hwy/21 MPG City! Brake Actuated Limited Slip Differential, Smart Device Integration, Cross-Traffic Alert, WiFi Hotspot, Lane Keeping Assist, Blind Spot Monitor, All Wheel Drive, Back-Up Camera, Alloy Wheels. READ MORE!KEY FEATURES INCLUDEBack-Up Camera, Turbocharged, Satellite Radio, iPod/MP3 Input, Remote Engine Start, Dual Zone A/C, Blind Spot Monitor, Smart Device Integration, Brake Actuated Limited Slip Differential, Cross-Traffic Alert, Lane Keeping Assist, WiFi Hotspot Rear Spoiler, MP3 Player, All Wheel Drive, Onboard Communications System, Aluminum Wheels.EXPERTS REPORTKBB.com's review says Between the grippy tires and the tuned suspension, the high-performance Edge held on nicely during hard cornering, with very little body roll. The brakes held strong and steady while we hustled this 4,000-pound SUV on mountain roads as we slowed for upcoming corners.. Great Gas Mileage: 28 MPG Hwy.MORE ABOUT USBaxter Ford South, a full-service Ford dealership in Omaha, is your source for new Ford cars, trucks, vans and SUVs both online and in our showroom. We also sell used vehicles and certified pre-owned Fords. At our 9203 South 145th Street (near Sapp Bros.) location, we also provide parts and auto repair service. We're part of Baxter Auto, the largest dealer group in Nebraska.Fuel economy calculations based on original manufacturer data for trim engine configuration. Please confirm the accuracy of the included equipment by calling us prior to purchase. SEL trim. Brake Actuated Limited Slip Differential, Smart Device Integration, Cross-Traffic Alert, WiFi Hotspot, Lane Keeping Assist, All Wheel Drive, Back-Up Camera, Alloy Wheels. FUEL EFFICIENT 28 MPG Hwy/21 MPG City! READ MORE!KEY FEATURES INCLUDEBack-Up Camera, Turbocharged, Satellite Radio, iPod/MP3 Input, Remote Engine Start, Dual Zone A/C, Blind Spot Monitor, Smart Device Integration, Brake Actuated Limited Slip Differential, Cross-Traffic Alert, Lane Keeping Assist, WiFi Hotspot. Rear Spoiler, MP3 Player, All Wheel Drive, Onboard Communications System, Aluminum Wheels.EXPERTS CONCLUDEKBB.com explains Between the grippy tires and the tuned suspension, the high-performance Edge held on nicely during hard cornering, with very little body roll. The brakes held strong and steady while we hustled this 4,000-pound SUV on mountain roads as we slowed for upcoming corners.. Great Gas Mileage: 28 MPG Hwy.MORE ABOUT USBaxter Ford South, a full-service Ford dealership in Omaha, is your source for new Ford cars, trucks, vans and SUVs both online and in our showroom. We also sell used vehicles and certified pre-owned Fords. At our 9203 South 145th Street (near Sapp Bros.) location, we also provide parts and auto repair service. We're part of Baxter Auto, the largest dealer group in Nebraska.Fuel economy calculations based on original manufacturer data for trim engine configuration. Please confirm the accuracy of the included equipment by calling us prior to purchase.